This post begins a series on mechanical errors in writing, and with it, we’ll finish all the posts on the errors writer make. After that I’ll discuss the kinds of things a reviewer should address when the writer does well. Critique is not criticism, after all, and especially not negative, destructive criticism. It’s important to point out a writer’s successes, too. Before I get to that, though, I need to discuss speeling, grammer, puncturation, capitolization—I mean, spelling, grammar, punctuation, capitalization—and other usage problems, and manuscript formatting. Spelling words correctly is a basic requirement for every writer. There’s simply no excuse for getting words wrong, unless, like I did in the paragraph above, you’re doing it intentionally. It’s easy to point fingers at teachers who don’t put enough emphasis on correct spelling in early childhood education, on texting and Twitter, on television, or on some other demon. Well, they all get some blame but that doesn’t change the fact that a working writer needs to spell well. Period. If a writer whose work you’re reviewing didn’t learn to spell before, she needs to learn now. (Of course, this implies that as a reviewer, you know how to spell words right and can spot the ones that are wrong.) And not just the complicated words like circumambulation or phenomenon or phlogiston. The words that trip up too many novice writers are the easy ones, especially the homophones (words that sound alike): their/there/they’re, affect/effect, your/you’re, complement/compliment, and so on. And since using there instead of their isn’t a case of a word being misspelled, word processor spell-checkers won’t catch the mistake. Now, grammar checkers have gotten better over the years and will sometimes catch those kinds of mistakes, but not always. “He went to there house” should get a blue sawtooth underline under “there” from MS Word’s grammar checker, and indeed it did when I typed it. But if the writer doesn’t know what’s wrong, he probably won’t fix it. The web offers some excellent sites for sorting out which word a writer should use when there are two or more that sound alike. About.com’s Grammar & Composition section has a page on 200 easily confused words. Vocabulary.com also has a page on homonyms, homographs, and homophones. And there’s even a web site dedicated to homophones, www.homophone.com, that even features links to the definitions of each word. But you know what, that’s really the easy part. The hard part for any author is catching dropped, swapped, or repeated letters. I have a nasty but unintentional habit of dropping the last letter of short words: “not” becomes “no” far too often. And of course, Word’s and Scrivener’s spelling checkers won’t catch it. Word’s grammar checker might not either. Word does a better job with correcting “associaiton” to “association” (the i is on the wrong side of the t) and “associatiion” to “association” (two i’s after the t). In these cases, though, the incorrect spelling had already been paired with the correct one in Word’s auto-correct function. Any misspellings that aren’t paired up that way will at least get marked as typos. This is where your fresh set of reviewer’s eyes can make a big difference. And since it’s already a law of nature that the unwelcome visitor will spot the errors in a work right away, you might as well take advantage of that to be helpful rather than unwelcome! There’s lots of advice for writers on how to catch typos—read the work out loud, read it backwards, etc.—but not a lot about how reviewers can catch these errors. Maybe there doesn’t need to be: those fresh eyes are enough, but fresh eyes in a reader who doesn’t know their own language well enough won’t find the mistakes a knowledgeable reader will. 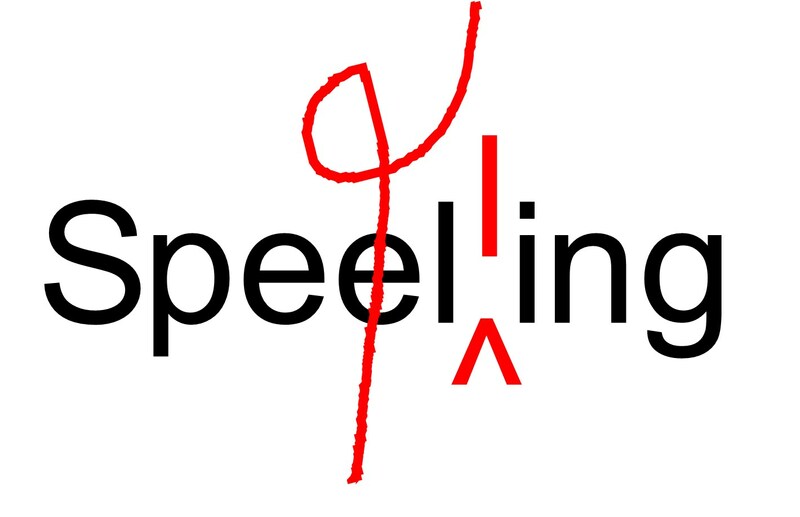 So let me throw it out to you: Do you have any special techniques you use to spot spelling errors in a work you’re reviewing? Are there any tools you use, online or offline, that help with this? Share your ideas and tips in the comments.